St. Paddy's Wrap Up: Bring on Easter! It is time to take down all the green St. Paddy's Day decorations and start getting ready for Easter. It was fun while it lasted, a riot really when I consider the reactions of the girls to the green toilet water, dry erase messages left on the mirror and green glitter and gold chocolate coins strewn about their little leprechaun house. 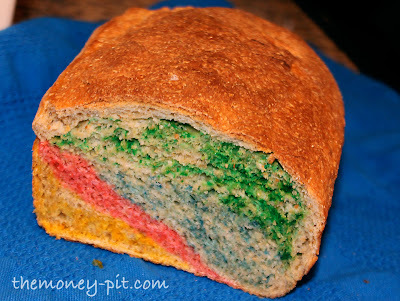 Plus cutting into a loaf of bread we had previously made the night before, and discovering an unexpected rainbow was hilarious. 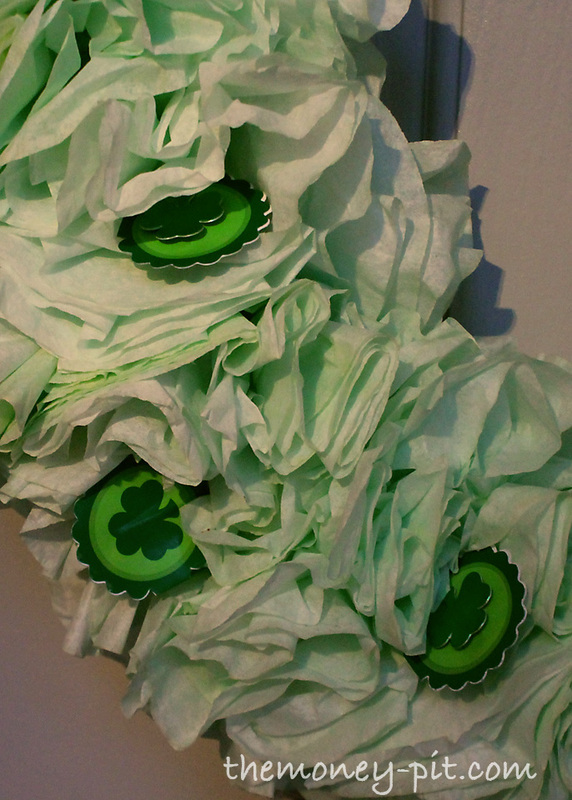 But now the green beer has been drunk, and it is time to move on to the next holiday. 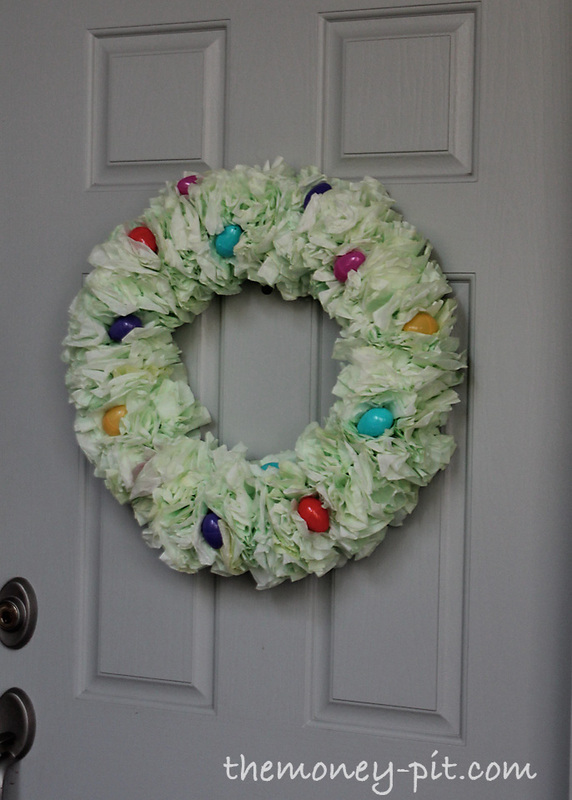 The mantle decorations and the coffee filter wreath all need to be put away or repurposed so I can add my spraypainted easter beans and other pinterest inspired ideas to the mix. 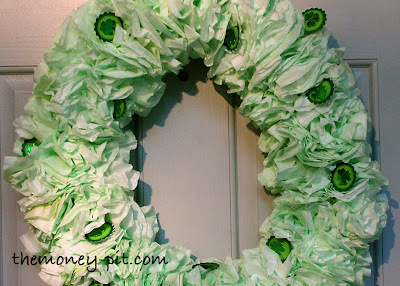 I had added some shamrock cupcake picks to my original plain green wreath in order for it to more clearly indicate "St. Patricks" and not just "Spring" and I had to remove those in order to covert it over to an Easter Wreath. Then I stuck on some plastic Easter eggs and hung that sucker back on the door. It took less than three minutes. That's what I'm talking about!